I’ve recently turned my attention to the front garden. I usually don’t spend a great deal of time on it as we barely see it, however, there is one area that is a real mess. It’s part of the gravelled drive and it’s been colonised by three-cornered garlic that’s gone invasive as well as a whole host of perennial weeds. A few early morning gardening sessions before work and the whole area is now turning into pristine border real-estate. It’s pretty stony from the gravel but the soil is good and it’ll be even better when I use the rest of the manure stockpile in it. It’s not very big and it’s in an area that doesn’t get a lot of sun so there will be partial-shade plants such as more lupins and foxgloves, I’ll put some bulbs in too and split the dicentra to go in here as well. I’ll also try and squeeze in some Solomon’s Seal. If I’m feeling adventurous, I might try and scramble a clematis up the remains of the dead potato bush that you can just see the base of. Making a new border is always very exciting for me. 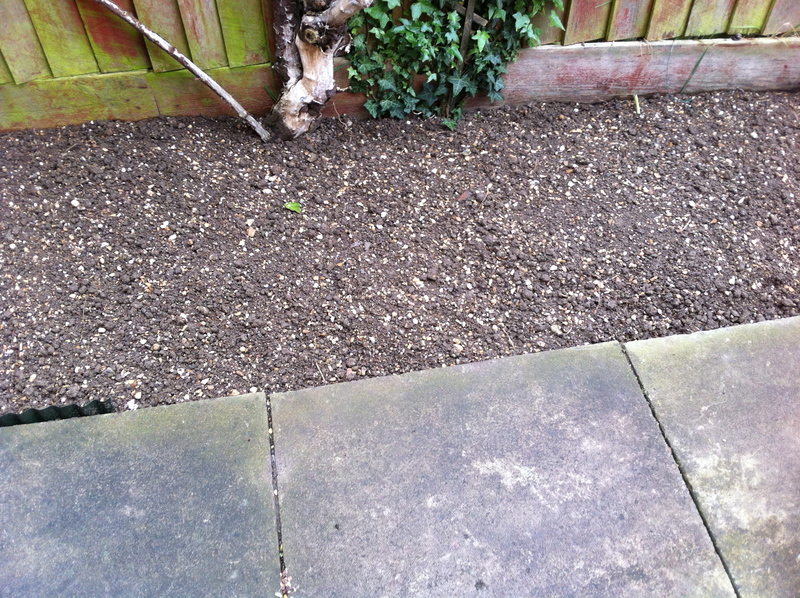 Turning grass (or gravel) into border is one of my favourite gardening activities. I’ll be taking my time with this section and digging it over several times and getting a lot of fertiliser in as once it’s planted, I won’t be able to dig it. By this time next year, this border should be crammed with flowering plants.